I remember my mom used to tell to only use lampin to Arya because she used lampins to all of her children. Same with my grandmother and also to my mother-in-law. At first, I didn't want to use lampins because I am not a fan of doing laundry. However, the "elders" insisted it and I did received a lot of lampins from my baby shower that it invaded an entire cabinet. My experience with using lampins is beyond great. Arya loved it too very much. Although I never had any bad experience with using disposable diapers, we intended to stick with it during the night when Arya sleeps up to almost 6-8 hours straight, or after she took a bath. We now use mostly lampins on the day. My lampins are the traditional gauze type or the bird's eye view type. I wanted to invest on buying fashionable and cute cloth diapers but we are a bit hesitant to use it. 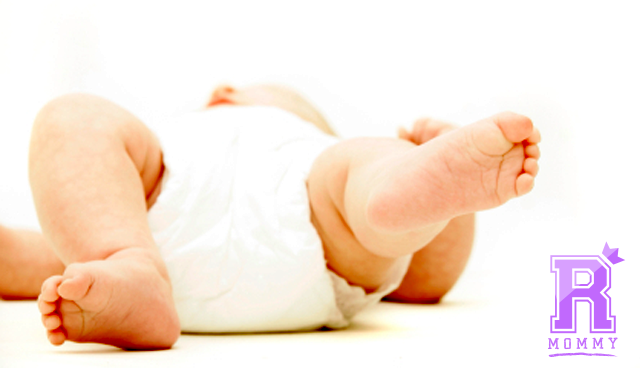 Cloth diapers works just like disposable diapers, the pee will be absorbed by soakers and may stay on for a few hours. - which we are not comfortable with. With the lampins, we immediately change it as soon as it's wet because we don't want to irritate Arya's bum. Comfort. Presko! Using lampin or cloth diapers are much preferred by babies simply because they are very comfortable. Rash-Free. Because you immediately remove the wet lampin after using it, you prevent the formation of those nasty red dots. Less fussy baby. Without the plastic feeling and garters of a disposable diaper, Arya became less fussy, leaving more time for play time! If you'll ask me how I well I do my laundry...Well, I don't. My mother-in-law loves washing Arya's lampins. We have about 50 lampins, mostly from St. Patrick's Organic gauze, Baby Company, and SM Department Store. Another great benefit for you is that using lampins is very cheap and can save you a lot of money if you exclusively use disposable diapers. We noticed that a pack of 24 pcs disposable diapers lasts 3 days if we exclusively used disposables, but when we started using lampins, our 24 pcs disposable diapers lasts for about a week. Rookie Mommy PH - excited to try cloth diapers soon.